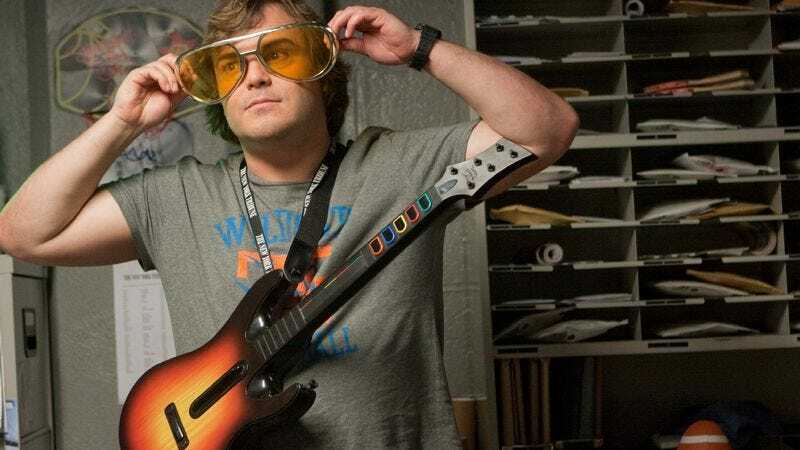 While going to Cannes to procure a new Jack Black comedy is a bit like going to Paris to eat at the famous Au Bon Pain, Bailout is not your typical Jack Black comedy. Its Cannes-worthy credentials include being directed by Michael Winterbottom, a script from Jess Walter based on his own novel The Financial Lives Of The Poets, and the company that financed The King’s Speech, all of whom will unite to capitalize on Bailout’s headline-grabbing, recession-era title, ideally before George Clooney can get around to it. Black will set aside the eye-waggles and high-kicks and revert to Margot At The Wedding mode to play a laid-off writer in danger of losing both physical house and metaphorical home, as he becomes crippled with debt and fear that his wife is cheating on him. As he’s teetering on the brink, he then meets a couple of “losers at the supermarket” who offer him “a new business opportunity”—which you can probably already guess involves drugs, but act surprised when you see it. Anyway, this probably sounds way better than what you’d expect from the headline, which is a film about an unconventional slacker who somehow winds up at the top of the U.S. banking system, creating a too-big-to-fail Federal Reserve of shenanigans.